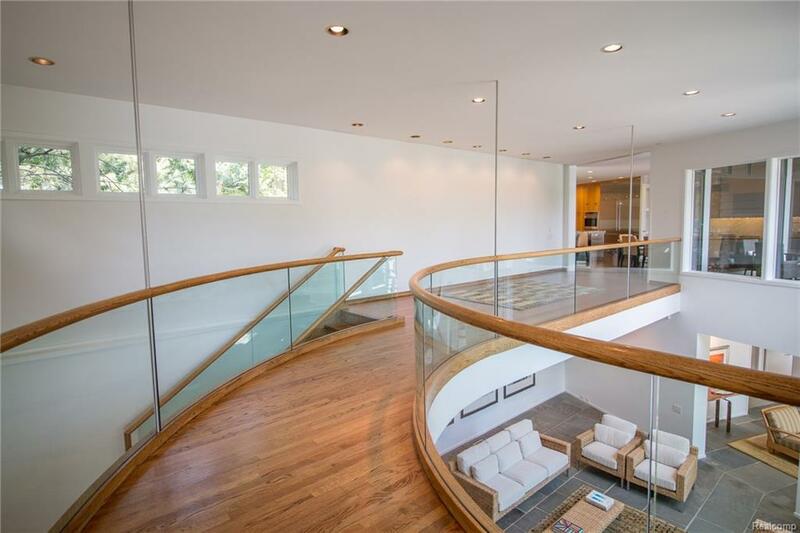 Grandeur abounds throughout this sleek, contemporary residence with a warm woods, stone and glass accents throughout. Masterfully designed to make the most of its location and double lot, the 11000+ sq. 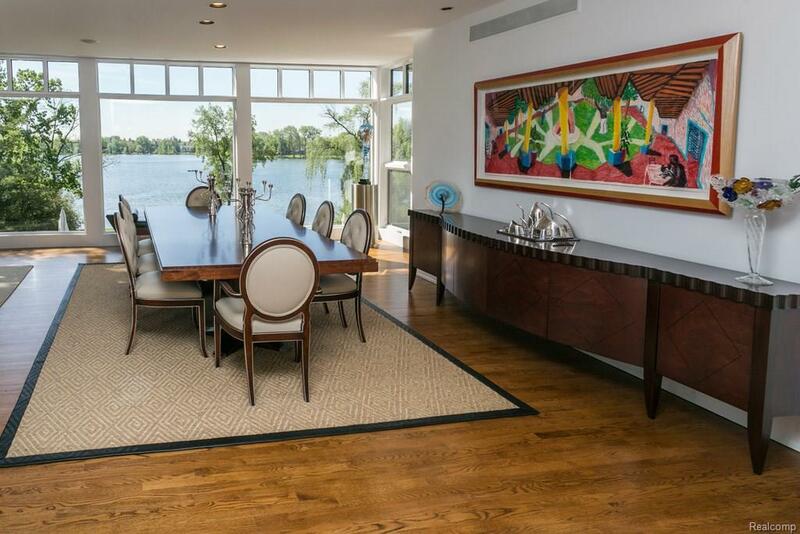 ft. home enjoys Wing Lake views from almost every room as well as from outdoor living spaces with infinity edge pool. Sophisticated kitchen features state of the are appliances while the dining room & great room provide ample space for entertaining. Three stylish bedrooms include a fabulous private master wing with sitting room, double sided fireplace, safe room, morning bar and his/her closets & baths w/ radiant heated floors and exceptional details. Lower level area showcases a pool lounge, kitchen, changing room, wet bar with mini kitchen, wine cellar and exercise room. 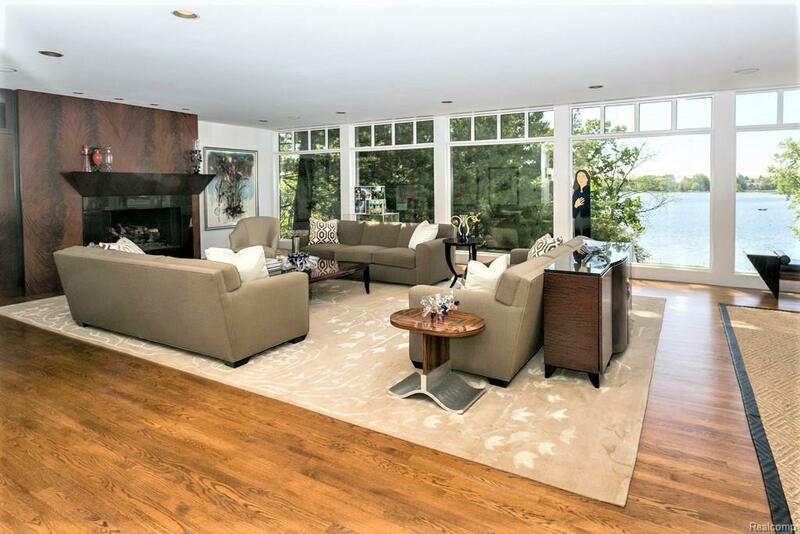 Amenities include 3 flr elevator, extensive security system, automatic window shades, music/movie system throughout, Creston System, 5 fireplaces, 5 car garages and dock w/ pontoon boat. Resort style luxury abounds!